The "Vend" option is available from the player's inventory. After clicking on it players can start dragging and placing items into the slots to be put up for sale. After setting the prices for all the items players can press the "for sale" button to start Vending. 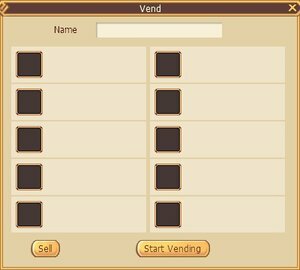 Players can make adjustments to the items for sale and close the Vending Shop at any time.